Built 1998 USA built, monohull crewboat. 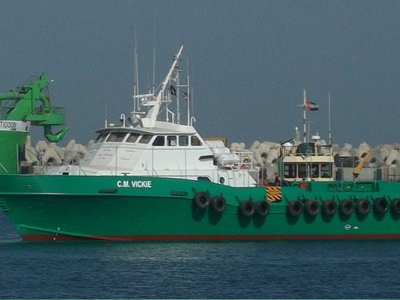 Carries 65 pax with 150 dwt deck cargo on 232 sq m of deck space. 2.1m draft and up to 20 knots speed.